Years ago I met Brandon through our motorcycling communities. I was honored a few months ago when he and Stacey asked me to be their wedding photographer. 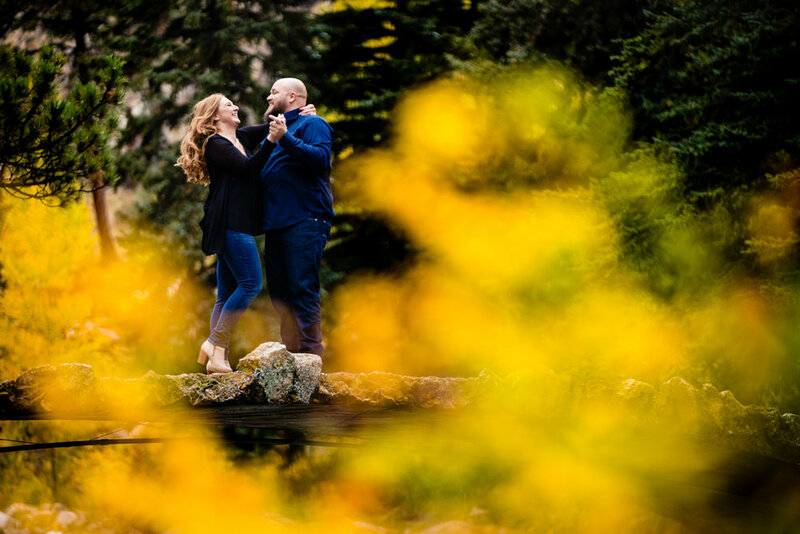 For their engagement shoot we drove up to Bailey, Colorado. 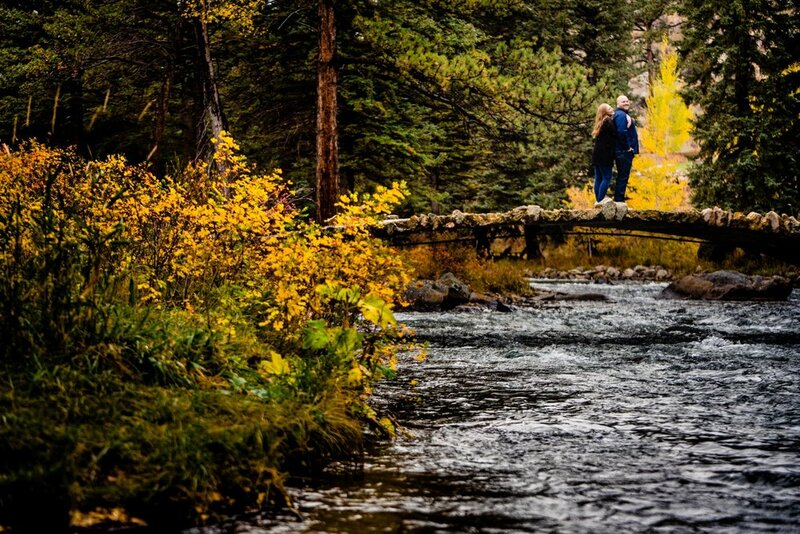 Stacey scouted out and found some beautiful locations with a few remaining fall leaves. On the drive up light snow flurries began to fall from the sky. 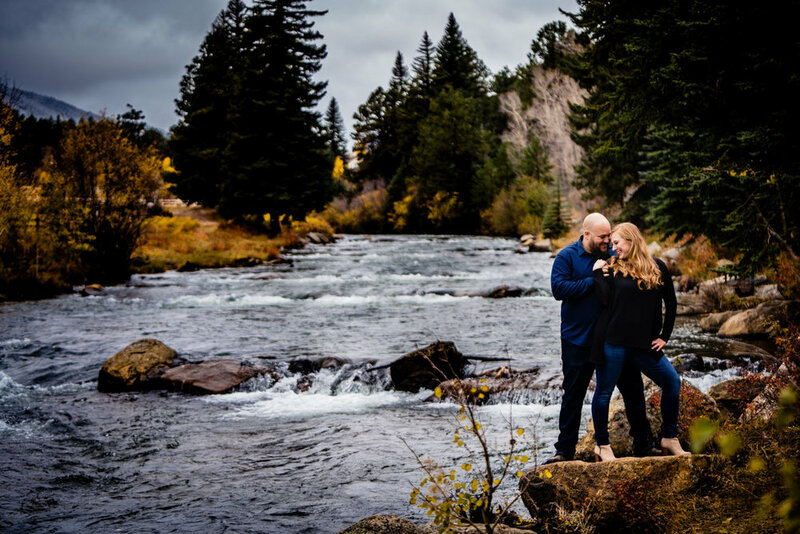 We had a great time shooting along the river at North Fork Ranch and finished up down the street at Deer Creek Valley Ranch. Congratulations, Brandon and Stacey! I look forward to photographing your wedding next summer.